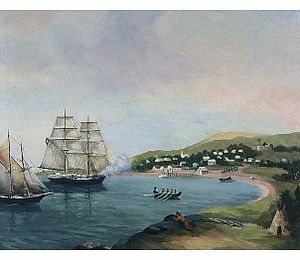 The Raid on Lunenburg (also known as the Sack of Lunenburg) occurred during the American Revolution when the American Privateer, Captain Noah Stoddard of Fairhaven, Massachusetts, and four other privateer vessels attacked the British settlement at Lunenburg, Nova Scotia on 1 July 1782. In Nova Scotia, the assault on Lunenburg was the most spectacular raid of the war. On the morning of 1 July Stoddard led approximately 170 American privateers in four heavily armed vessels and overpowered Lunenburg’s defence, capturing the blockhouses and burning the house of the local militia colonel. The privateers then looted the settlement and kept the militia at bay with the threat of destroying the entire town. The American privateers plundered the town and took three prisoners, who were later released from Boston without a ransom having been paid. During the American Revolution, Nova Scotia was invaded regularly by American Revolutionary forces by land and sea. Throughout the war, American privateers devastated the maritime economy by raiding many of the coastal communities. There were constant attacks by privateers, such as the numerous raids on Liverpool (October 1776, March 1777, September 1777, May 1778, September 1780) and on Annapolis Royal (1781). 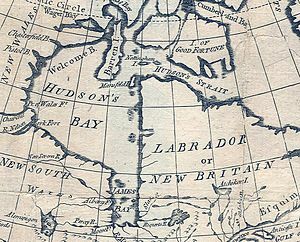 There was also a naval engagement with a French fleet at Spanish River, Cape Breton Island (1781). On 17 November 1775, Washington’s Marblehead Regiment aboard the Hancock and Franklin made an unopposed landing at Charlottetown, Prince Edward Island. Three days later, they expedited to Nova Scotia and raided Canso. In 1779, American privateers returned to Canso and destroyed the fisheries, which were worth ₤50,000 a year to Britain. The 84th Regiment had been defending Nova Scotia, attacking an American privateer ship off of Lunenburg, Nova Scotia (1775). The 84th was led by Captain John MacDonald. They boarded the warship when some of its crew were ashore seeking plunder. They captured the crew and sailed her into Halifax. There were also Patriot attacks on Nova Scotia by land, such as the Battle of Fort Cumberland and the Siege of Saint John (1777). There was the constant threat that American Patriots would attack Halifax by land. 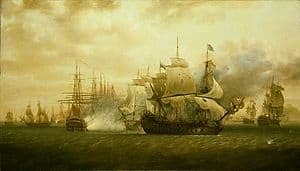 The month prior to the Raid on Lunenburg, there was a significant Naval battle off Halifax between an American privateer and a Royal Naval vessel. During the early morning of 1 July 1782, five American privateers, who had left Boston under the command of Captain Noah Stoddard, began to raid Lunenburg. Captain Stoddard’s ship was the schooner Scammel, which had sixteen guns and sixty men. Stoddard organized both a land and sea assault of the town. The vessels first landed at Red Head, two miles outside of the town and soldiers began to march toward the town. The vessels then moved toward a frontal assault on the town. The Lunenburg militia was led by Colonel John Creighton (judge) and Major D. C. Jessen. Colonel Creighton and five other militia men occupied the eastern blockhouse and began firing at the approaching land assault. Several of Captain Stoddard’s privateers were wounded. The landed fleet of privateers then rounded East Point. The vessels landed and quickly took control of the western blockhouse and established themselves at Blockhouse Hill (See image above). Captain Creighton and others in the blockhouse were cannonaded into silence and the blockhouse burned. Colonel Creighton surrendered and was taken prisoner along with two other men aboard Captain Stoddard’s vessel Scammel. Resistance was also offered by Major D. C. Jessen. He was initially held up in his home, which the privateers fired full of bullets. He escaped and his house was looted. Major Jessen assembled with a militia behind the hill overlooking the town. A militia from La Have under the command of Major Joseph Pernette also advanced toward Lunenburg to join Major Jessen. Captain Stoddard sent a message to Jensen and Pernette that if they advanced on the town, all the homes would be burned. To ensure his threat was not idle, Captain Stoddard burned down Major Jessen’s home. Captain Stoddard’s privateers looted the town and destroyed what remained. The Reverend Johann Gottlob Schmeisser tried to interfere and was bound by the privateers and placed in the middle of town. Relief came when Lt. Governor Hamond dispatched from Halifax three ships under the command of Captain Douglass. Captain Stoddard began the retreat. Despite not having received a ransom, Captain Stoddard released Colonel Creighton and the other prisoners after they arrived in Boston.